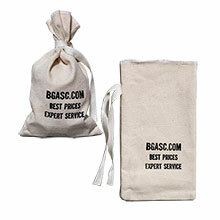 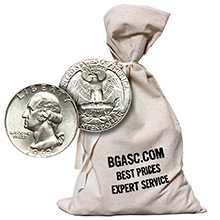 Small Coin Bag with Ties - Heavy Duty Holds $100+ Coins (Empty) 5.5" x 9.5"
These circulated 90% silver quarters are sold by the $1 face value (4 quarters to each $1), each $1 containing approximately .715 ozt of pure silver. 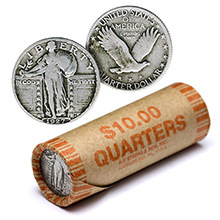 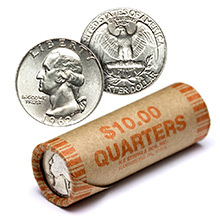 This generic selection of quarters dated 1964 and prior is almost always all Washington Quarters though the occasional Standing Liberty Quarter may be found. 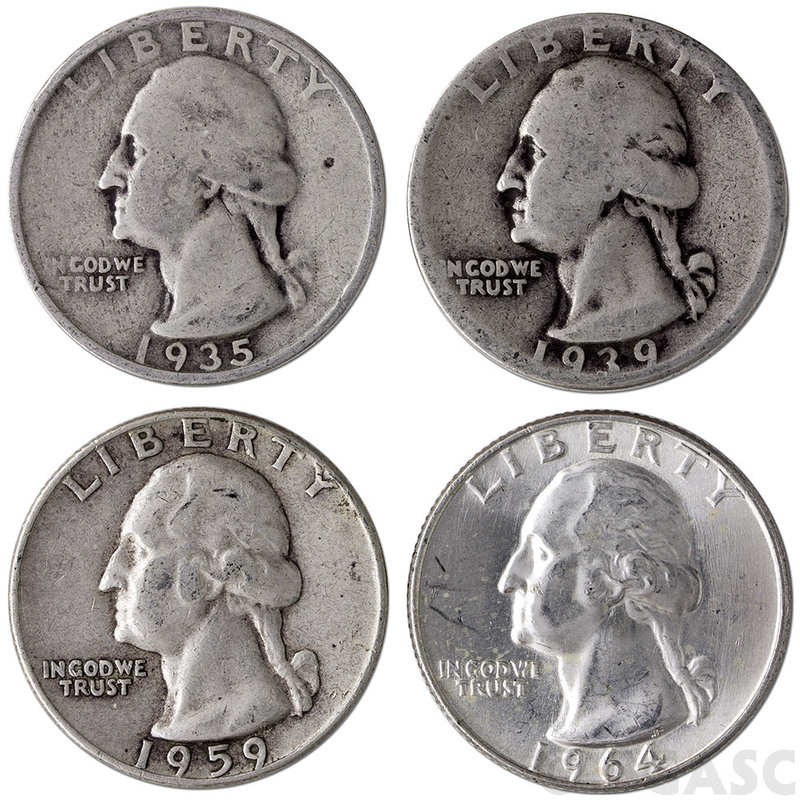 The 90% Silver Washington Quarter, originally designed by sculptor John Flanagan, was minted from 1932 to 1964. 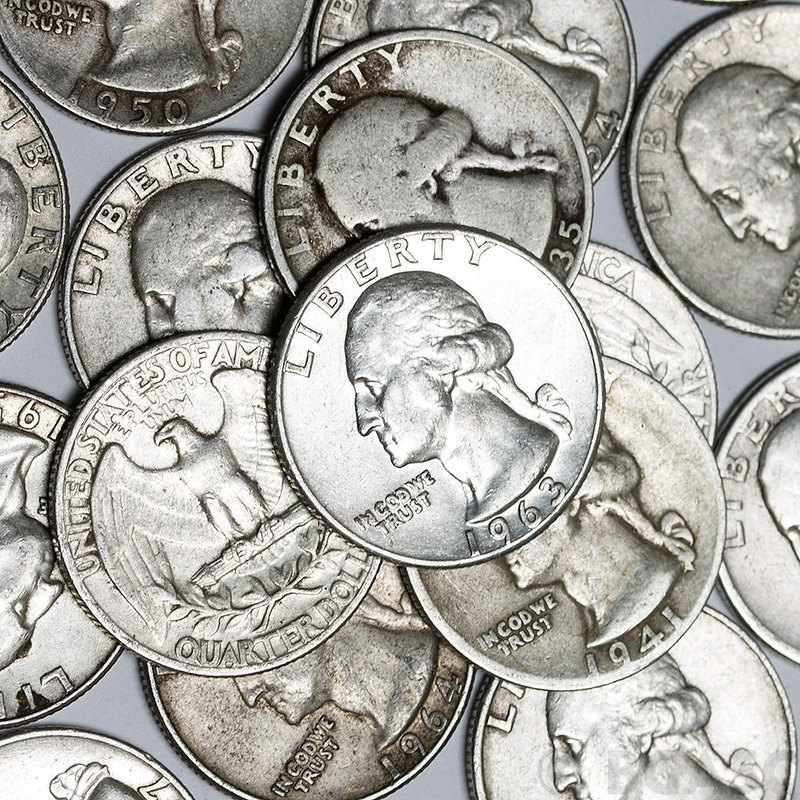 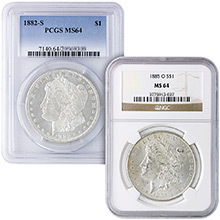 This well-known quarter depicts the head of Washington facing left, with "Liberty" above the head, the date below, and "In God We Trust" in the left field. 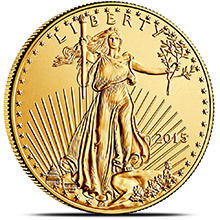 The reverse features an eagle with wings outspread perching on a bundle of arrows framed by two olive branches. 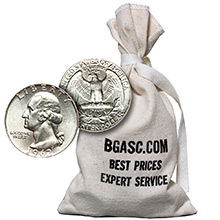 Other 90% quarters include Washington Quarter Proofs from 1992 on, State Quarter Proof coins starting in 1999 and America The Beautiful Quarter Proof coins starting in 2010.